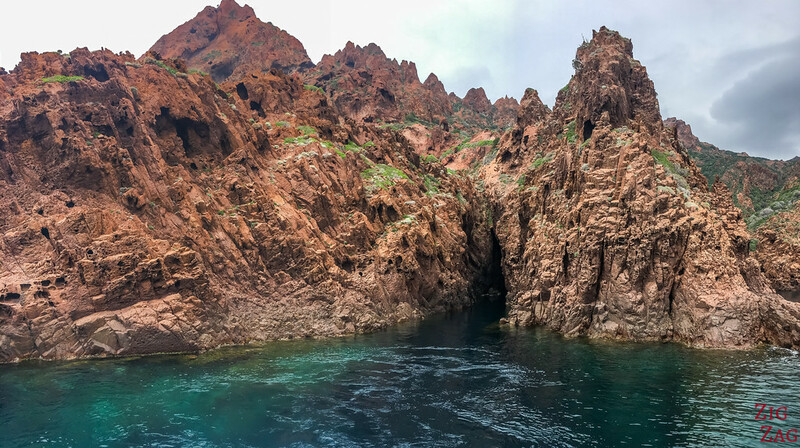 The Scandola Nature Reserve Corsica is an ancient caldera, a paradise for geologists and a dream-location for nature lovers. This fascinating coastal area is only accessible by boat or on foot (long day hikes). Below are photos and tips to plan your visit! 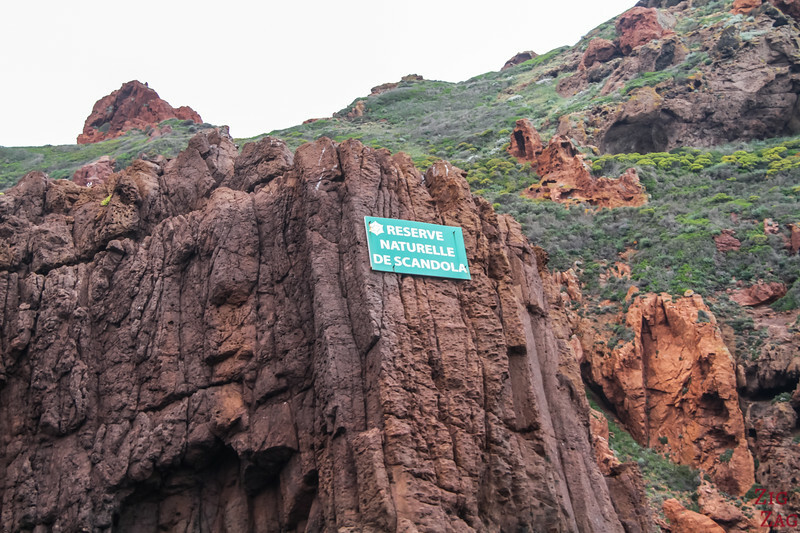 Why visit the Scandola Nature Reserve Corsica? 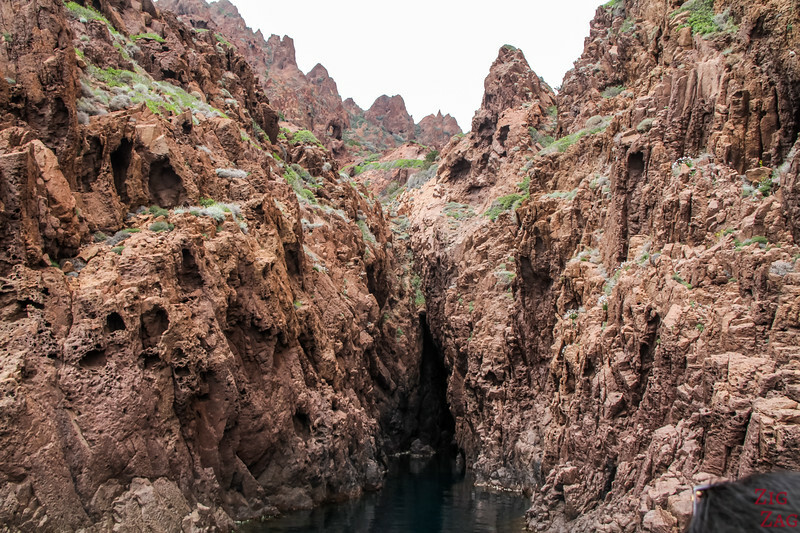 The Scandola Reserve is protected and on the Unesco Heritage list for a reason. It is one of the most fascinating coastline in the Mediterranean sea. 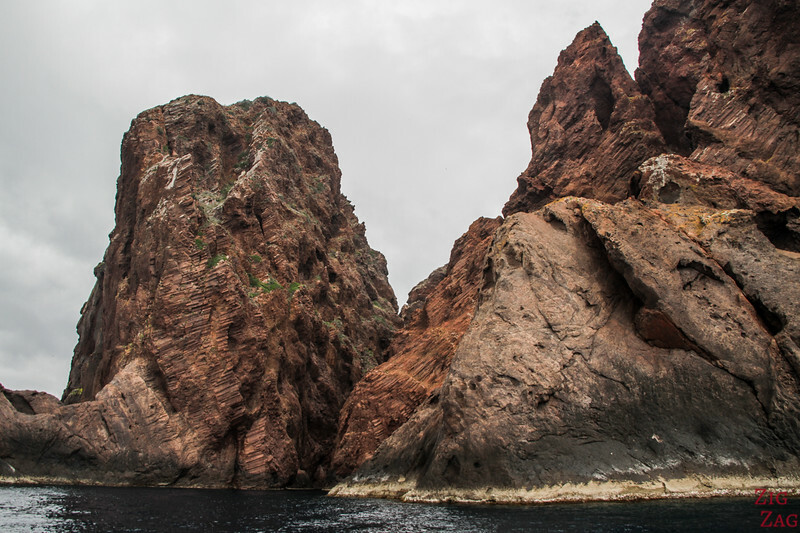 The exposed red rock of an ancient caldera plunge into the deep blue water of the sea. 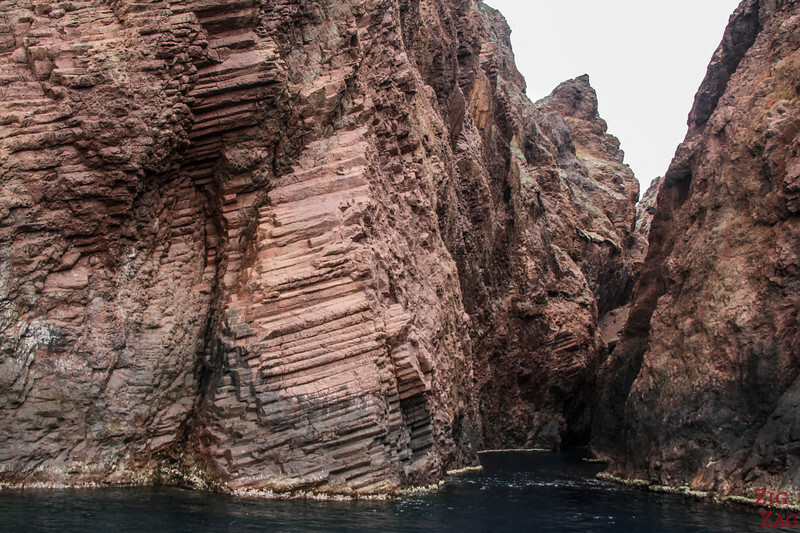 Plus the erosion has exposed some unique geological features you will get to see on the boat trip! 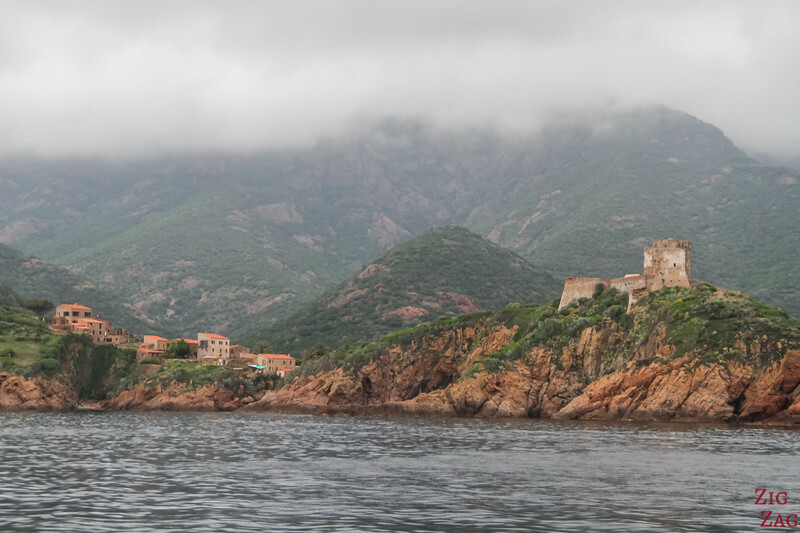 I think it is one of the best places to visit in Corsica! The Scandola peninsula is actually a caldera (an elliptical depression resulting from the collapse of the magmatic chamber following volcanic activity). It was formed 250 millions years ago by the old underwater volcano. 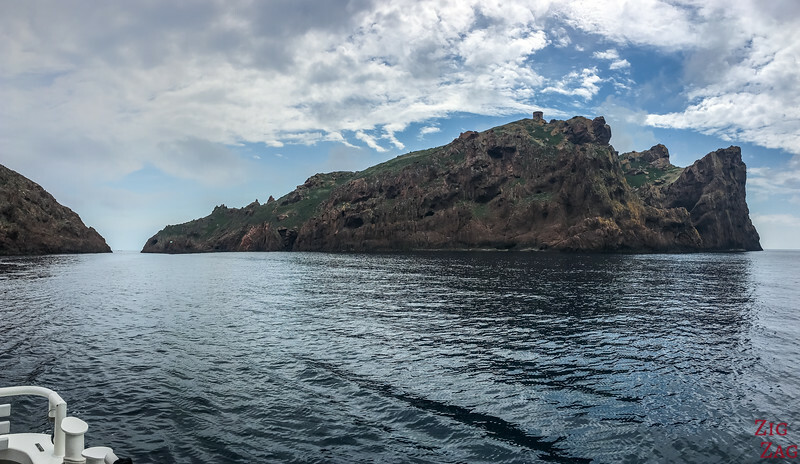 The magmatic rock (that is softer than the calanques of Piana rocks) has been eroded by wind and sea for millions of year. This is why it is a great place to admire structural elements that have been revealed by this erosion. Thanks to the protection of the peninsula and the waters around it, the reserve is now rich in fauna and flora. On the red cliffs, vegetation has appeared up to 500m in altitude. And thanks to the purity of the water, marine life is blooming. The reserve cover around 20km2 both on land and on water. This is why access is limited to boat and hiking. 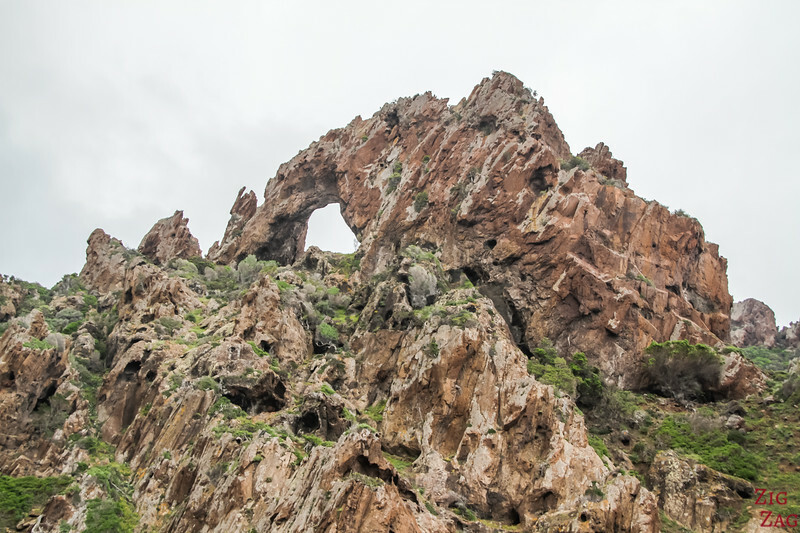 Before I share more tips and photos, here is a short video of the boat trip around the Scandola caldera with the fascinating rock formations and beautiful landscapes. 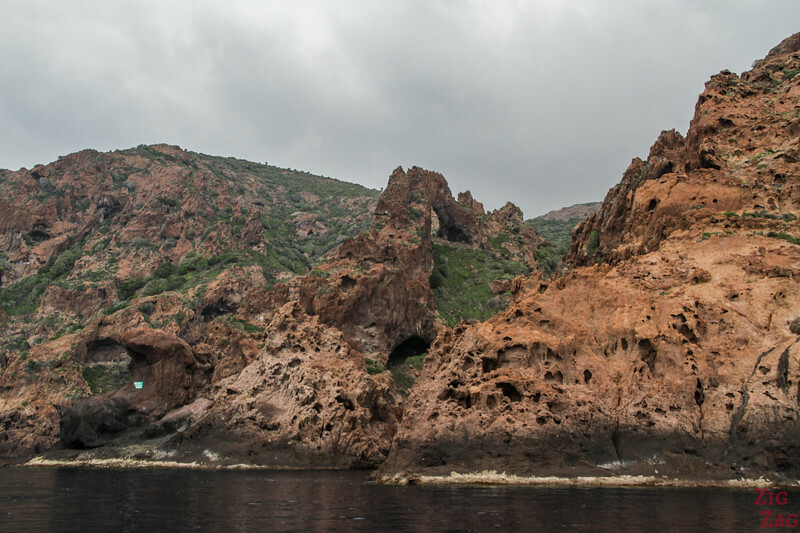 Where is the Scandola nature reserve located? The best way is to stop in the region on a road trip around Corsica. Exploring with your own car is really the best option. 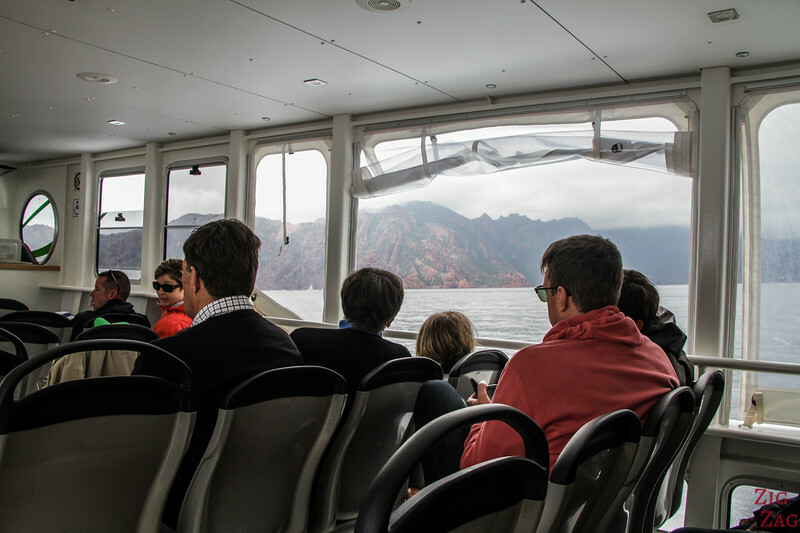 The best way to explore the coastal area is by boat. Definitively. 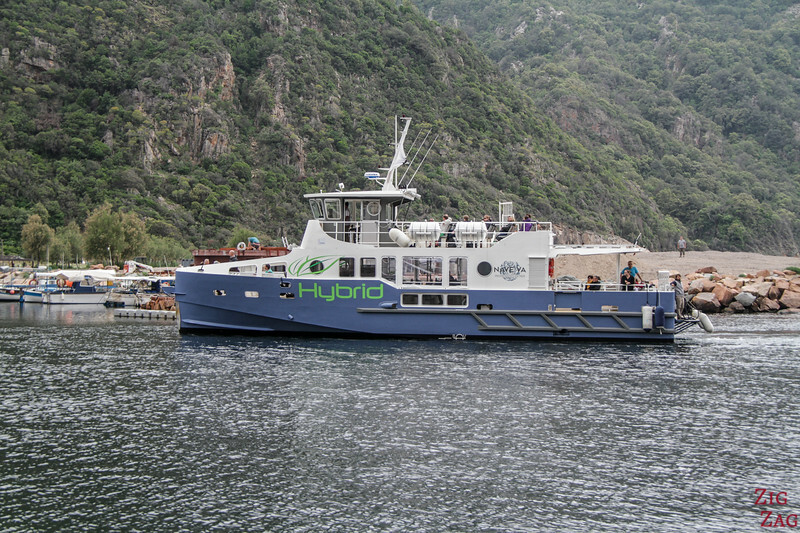 Departure - There are regular departures from the little port of Porto Corsica. I personally chose a large boat so that it was stable and I could move around to take pictures. Boat - The boat was really nice for viewing - it has a protected area as well as open sections at the front and back and a higher deck. Lots of options! Booking - this is a very busy attractions in Summer. I recommend booking in advance, especially for the late afternoon tours to see the Piana cliffs turn red. Note: if you really love rocks and scenic coastline you can do like us and combine with a tour of the Calanques de Piana. Using the same link, once you selected the date you get a choice of only Scandola or Scandola + Piana. The highest number of departures happen from Porto Ota, at the heart of the Gulf of Porto. 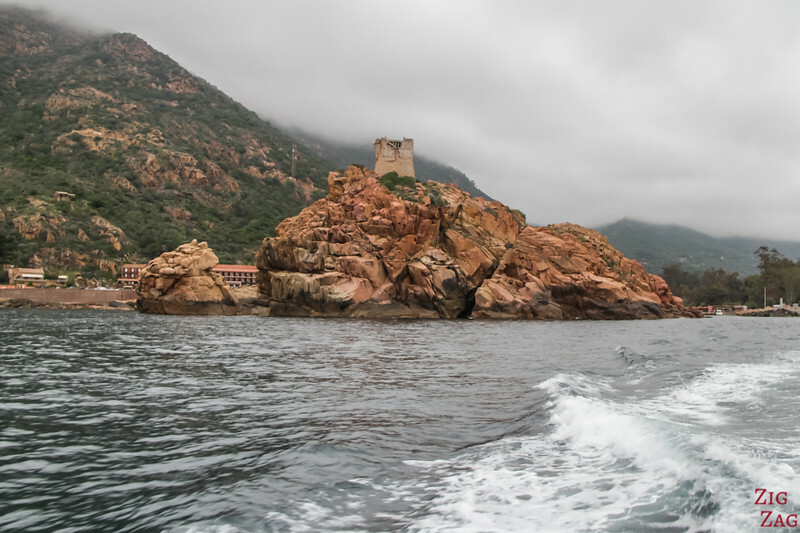 As you sail away from the port, you can see the famous unique square tower protecting the gulf and communicating with the one on top of Capo Rosso. 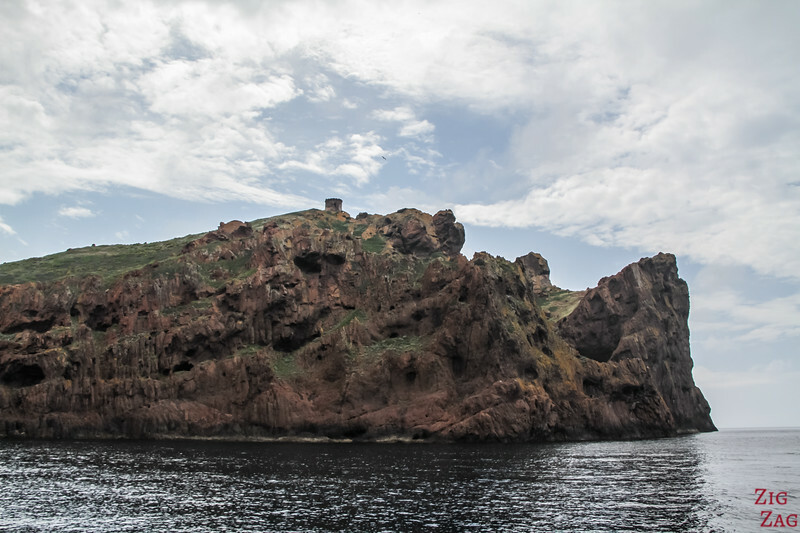 Before reaching the Scandola reserve, there is a first headland. The mountain is called Monte Senino. It is located between the gulf odf Porto and the gulf of Girolata. 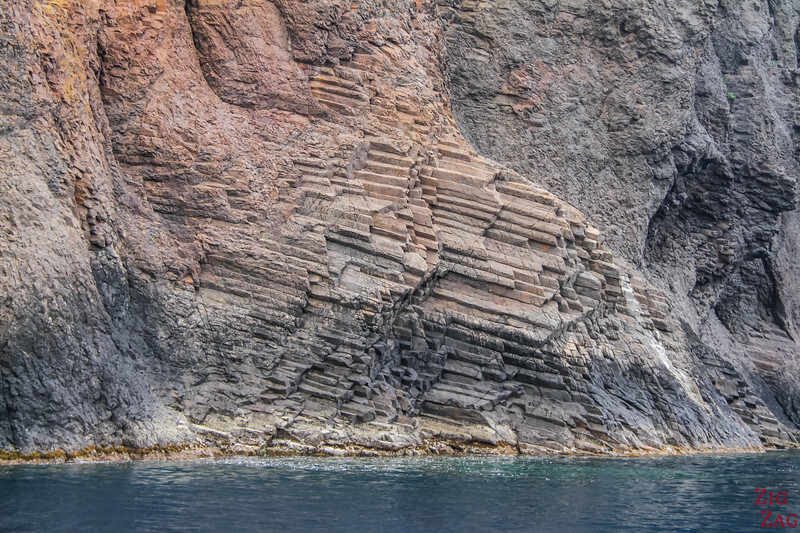 Its origin is also volcanic, probably from the same structure as Scandola. On the boat, you can start getting excited. This pyramid shape already displays beautiful colors. This look promising, isn't it? It announces the color but we have to keep going because there is so much to see. The first bay we stopped at around the Scandola peninsula was already stunning. The rock is really sculpted by the sea and the wind. You can see that the texture is much softer than at the calanques of Piana which is why it is much more eroded. The boat can get really close for you to admire the many cavities and how the vegetation fins every space possible to grow. Next you sail around Cala di Facaccia. This is where you can see the most variation in colors. While the dark green and black ones are basalts. On this one the erosion has created and arch and other fascinating shapes. I could stay there imagining stories with wild animals and a magical land. Wouldn't you? The scenery is absolutely mesmerizing. It was formed by a flow of ignimbrite (a kind of volcanic rock) with a lahar on top of it (a lahar is a destructive mud flow on top of a volcano). And it is covered by yet another flow of ignimbrite!!! A long geological history! 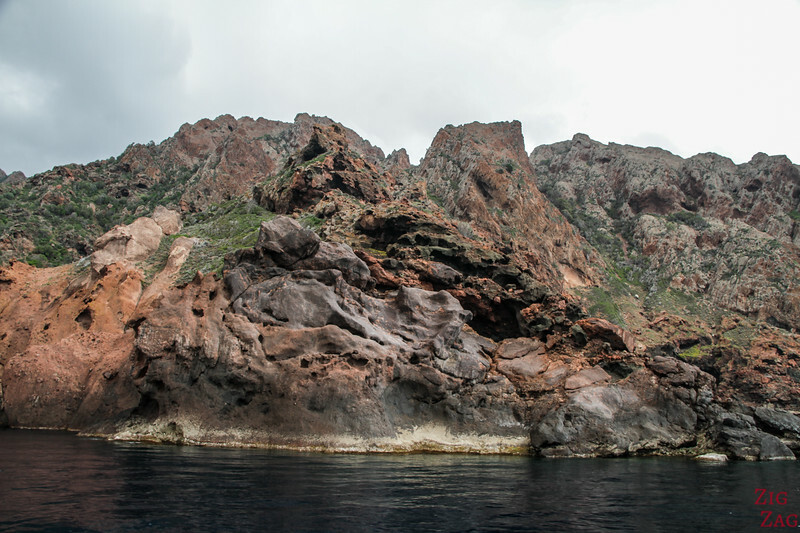 The the most famous geological formations of Scandola Corsica are the Basalt organ around Punta Pallazzu. They are special because they are oriented horizontally. The basalt organs are the lava flows which, as they cooled, froze to give the illusion that the touches of an organ fall into the sea. In lava, prisms are structures related to thermal contraction that develop perpendicular to cooling surfaces. A horizontal basalt flow will therefore develop vertical prisms. You can see quite a lot of them with this fascinating color. This was my favorite part of the Scandola boat tour. 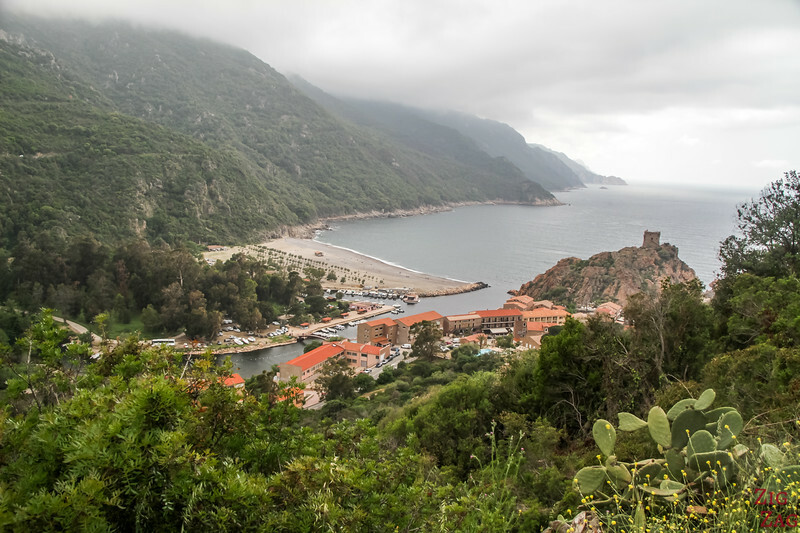 On the way back to Porto, you enter the golf of Girolata to have a quick stop at the village of Girolata. 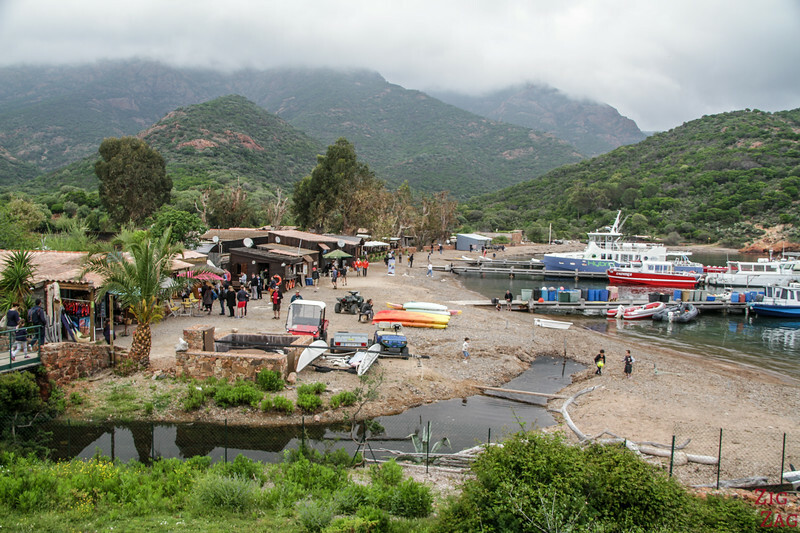 This village is only accessible by boat or on foot. There are no roads. 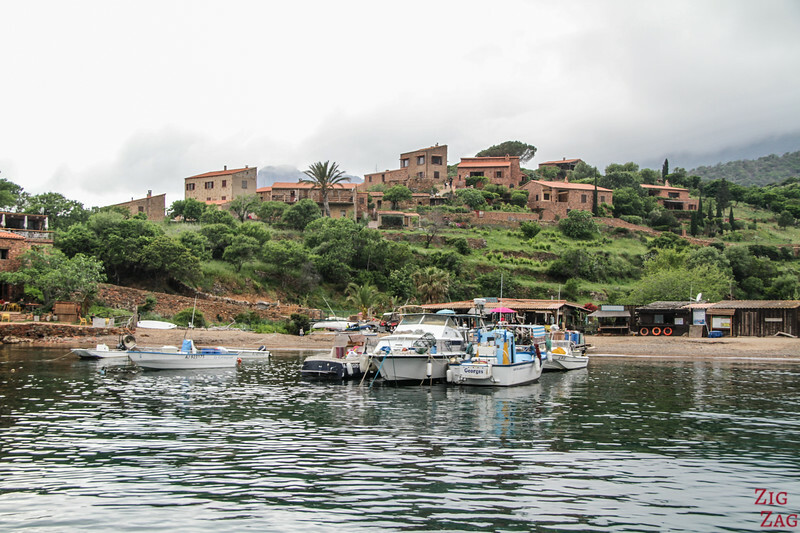 The small village is surrounded by mountains and sea. The rock is orangy red. All that make the location quite scenic. There is a 30min stop to explore this isolated village. 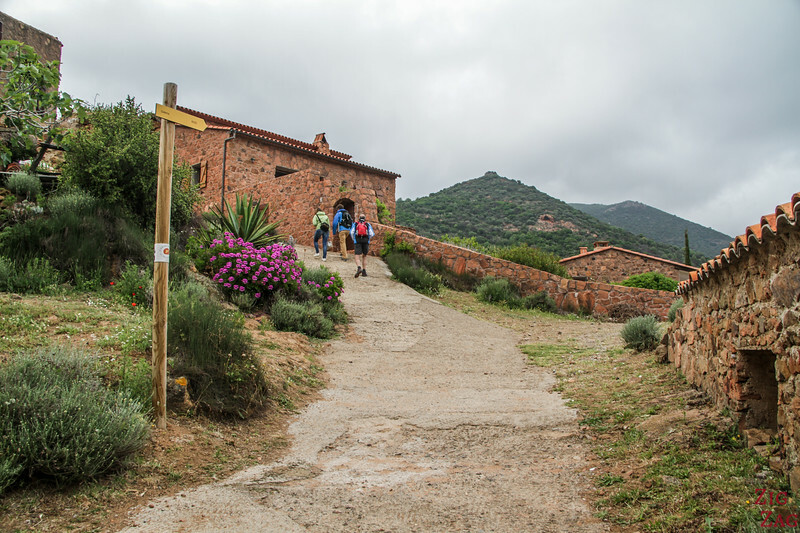 You can opt to walk a little uphill to tour the small villages and enjoy the view around. 30min is really short, so don't climb too high. Your other option is to stay on the beach. There are shops with some tasty local food to taste. And sometimes you might even see cows walking on the beach. As I said earlier, the waters around the Scandola peninsula are also protected and marine life is abundant and diverse. The purity of the water has allowed the development of a rich underwater flora, including Posidonia meadows. Acting like a lung, this plant is part of an ecosystem which shelters a very diversified underwater life: corals, gorgonians, groupers, dentis, morays, mullets... You might even see tuna or swordfish. 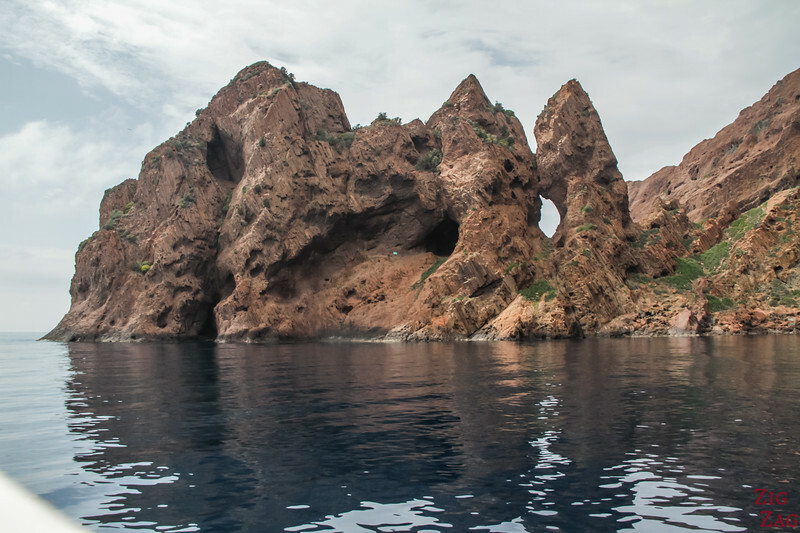 Visiting Scandola by boat trip is really the easiest way to see the magnificent reserve. 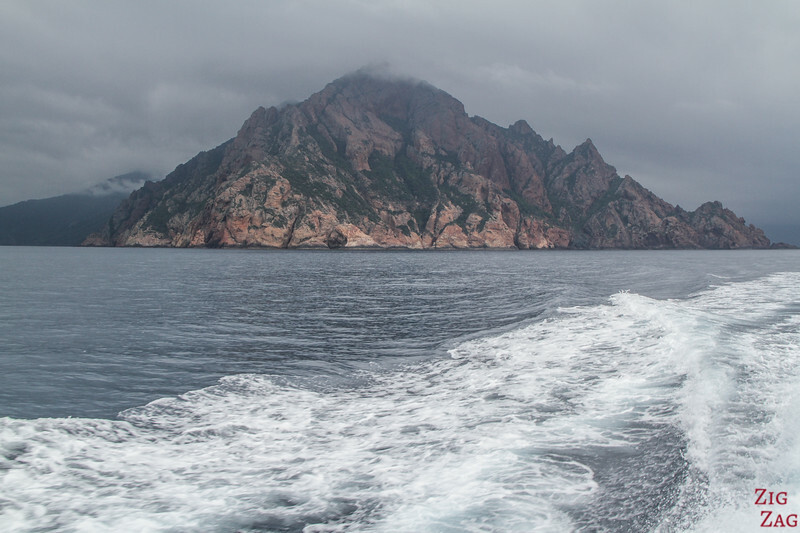 And this is the best way to see many of the geological features.However you can also opt to hike around the peninsula. 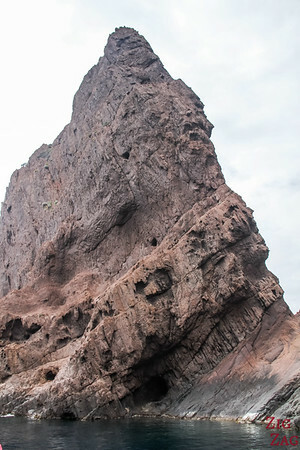 The most famous path is to reach Girolata on foot. It takes 2h from Col the la Croix (22km from Porto). It is called the postman track as for many years, this is how mail was delivered. 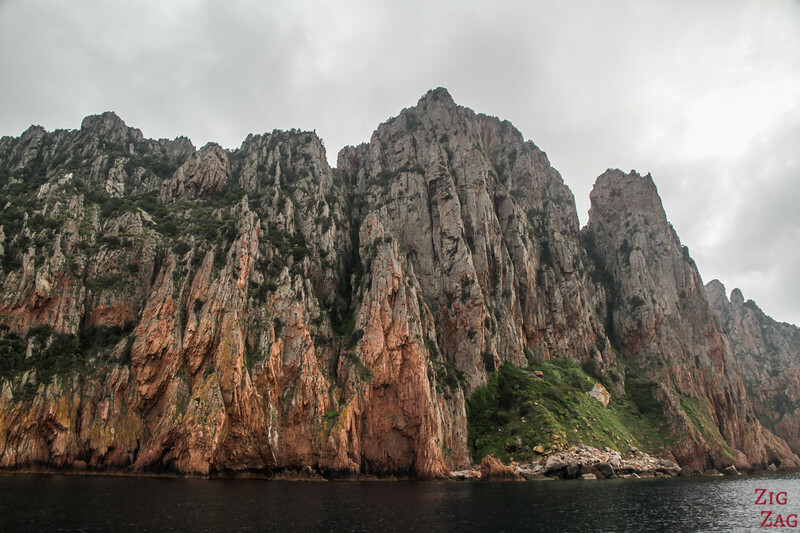 And of course, don't miss the nearby calanques of Piana. The colors are similar but there structure is completely different. This rocks is really hard which is why the erosion has not soften the cliffs. They are plunging straight in the water. This is quite impressive. 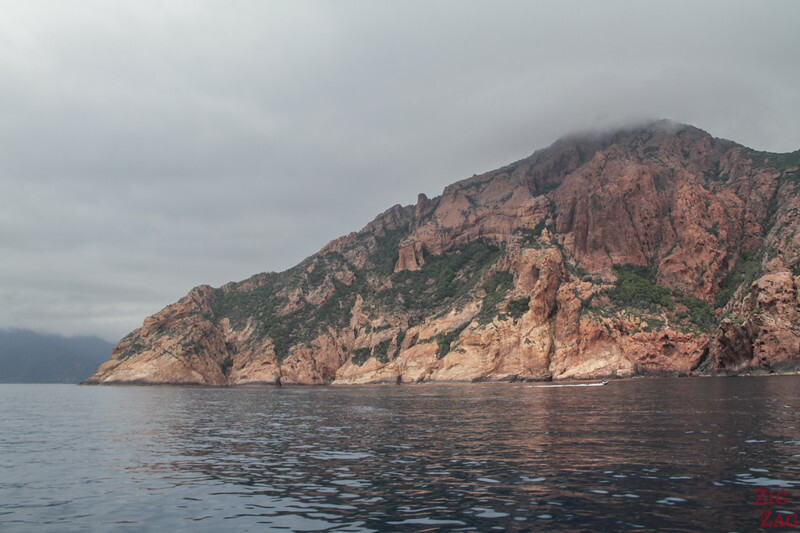 See more photos on my article about the calanches de Piana Corsica. To enjoy the area, it is best to stay either in Porto or in Piana. You can stay in Porto Ota (it is now only geared towards tourists). It is the perfect location for the boat trips. By the water, you will find lots of delicious restaurants to enjoy. However it offers less impressive views than the accommodations in Piana. Piana is located on higher ground in the Calanques so several of its accommodations offer fantastic views of the gulf.